Manhattan Motorcars – based in the affluent area of Chelsea – deals with only the most sought-after luxury brands in the world, including Rolls-Royce, Bentley, Bugatti, Lamborghini, Koenigsegg, Porsche, Rimac and Lotus, and it’s now added BAC to its revered stable. 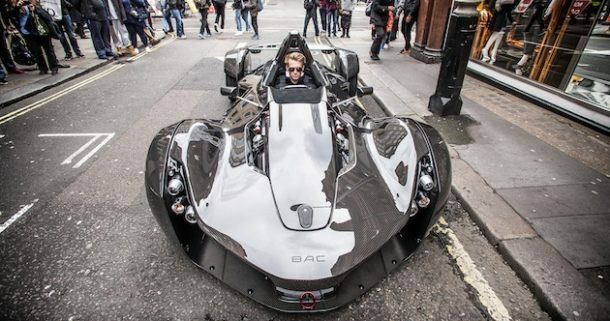 BAC is the maker of Mono – the world’s only single-seater, road-legal supercar. The Liverpool-based company already has a BAC USA dealership agreement in Scottsdale, Arizona, but Manhattan Motorcars is its first representation on the East coast. The New York dealership is respected as one of the most successful luxury and performance automotive dealers in the world, setting benchmarks for sales and service since its inaugural year of trading in 1995. Likewise, BAC prides itself on offering the finest products and service, as well as knowing every single one of its customers by name – making its tie-up with Manhattan Motorcars a natural progression. Manhattan Motorcars will be displaying the Mono at the upcoming New York International Auto Show in April, giving BAC fans on the East coast a chance to get up close and personal with the supercar and its core team.